Earlier this year at Synergis University, we had Re:Vision Architecture present on Building the New Synergis Home: BIM, Adaptive Reuse, and Collaboration. 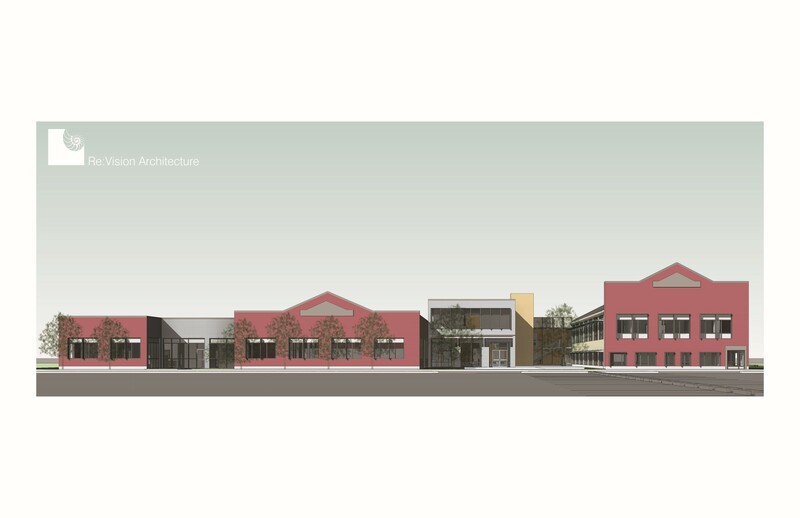 Drew Lavine, RA, LEED AP, Re:Vision Architecture, presented the process of transforming an old hosiery factory to open, bright technology offices that will soon hold all of our local employees. You can see the slidedeck of his presentation here. Re:Vision is an award-winning, mission-driven Professional Corporation with offices in Philadelphia, PA and Berkeley, CA that serve a national clientele and share emerging best practices from both coasts. 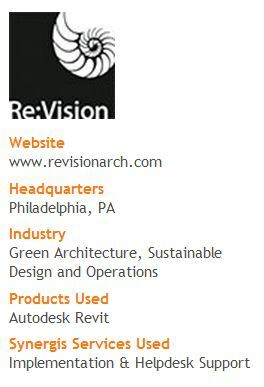 The Re:Vision practice features both architects and sustainable design consultants, committed to helping their clients achieve and develop innovative, efficient and sustainable building designs and operations. 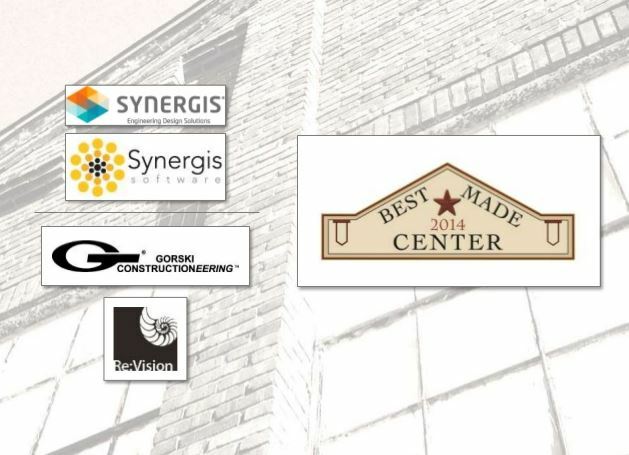 In 2011, Re:Vision began a significant, organization-wide migration to Revit, Autodesk’s Premier Building Information Modeling software, and worked with the team at Synergis Engineering Design Solutions to help them implement the software and convert the entire staff to this application. According to Drew Lavine, RA, LEED AP with Re:Vision, the Synergis technical support team, led by Darin Green, Lead Product Support Specialist, went “above and beyond” as they helped Re:Vision navigate the many ins and outs of their migration to Revit. Re:Vision and Synergis had worked so well together on the implementation of Revit, that collaborating again on how to best utilize the tool to get a consensus on design seemed like a natural evolution of the partnership, and it was. Bill Knittle, Building Solutions Engineer with Synergis, worked closely with Re:Vision to help them identify and utilize the tools within Revit, like the Energy Analysis Tool and Design Visualization, that would help them quickly make changes— saving time, money and resources. Re:Vision used Revit’s 3D Visualization as a part of team design meetings to present the schematic designs to all interested parties that would be part of the decision-making process. When presenting 3D models of the design, Re:Vision could make real-time modifications to the design to explore ideas and steer the group towards consensus. By eliminating the back and forth between iterations, Re:Vision could confidently provide Gorski Engineering with a design that met everyone’s expectations without missing their deadline. As Building Information Modeling (BIM)/Virtual Design and Construction (VDC) become more ubiquitous across the building and construction industry, designers, contractors, and owners can communicate and collaborate at a much higher level than ever before. Forward-thinking companies, like Re:Vision, have proven the effectiveness of using this approach and will continue to drive the use of this innovative technology in the industry. Want results like this? Contact us or ask an expert how we can help you stay ahead.